Having seen more plays than I can count as a professional reviewer for 16 years, it’s still a thrill to attend a show that profoundly stirs your heart and soul. 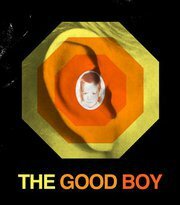 Michael Bonnabel does just that in his solo performance The Good Boy playing at LATC through May 22. Bonnabel, directed by Darin Anthony, pulls you into his bravely open, honest and emotional story of his unusual family—four hearing children who take on extraordinary roles because of the limitations of their deaf parents. He signs some segments of the show, including his opening song, so it’s clear from the start you’re in for something special. His Danny Kaye-like qualities infuses his narration with vulnerability as he plays his deaf parents, himself as a child, his siblings and a few other memorable characters in the 90 minute show set mostly in the 1960s. There’s not an empty, wanting moment in his performance—that feels more like a satisfying chat in his family’s living room. He clearly delineates his characters with charming, infectious detail and in the end shows home movies so we can see the humans of his affection for ourselves. For those of us in the Pasadena area, the local references make the performance even more personal. Aiding the impact of each emotional beat is the production team of set designer John Burton, sound designer Sloe Slawinski, and lighting designer Brandon Baruch. Their work enhances each emotional beat of Bonnabel’s rich tale. Now stop reading and buy a ticket! I was delighted to see not only his performance full on opening night, the three other shows at LATC were bustling, too. In fact, downtown was hopping like it was Art Walk night. Go experience a life affirming love story.